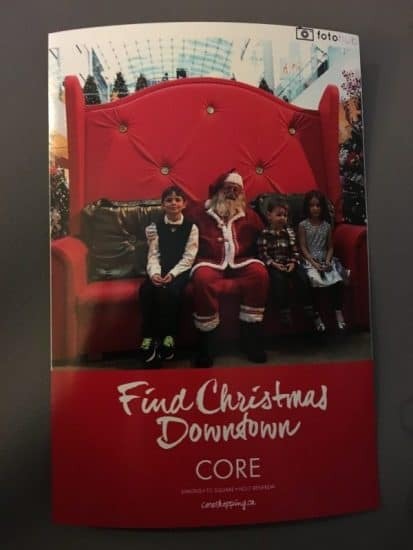 There are a lot of different options for Photos with Santa at the mall in Calgary this Christmas. 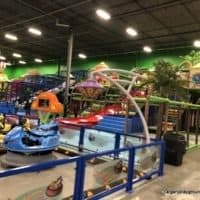 To help you decide where you want to take your kids, I have listed below, (in alphabetical order) the malls in Calgary that have pictures with Santa and a bit of a description. I’ll continue to update the information on this page to keep it as current as possible. Note: I have decided to post Santa’s hours, but please use this information as a guide only and double check with the mall itself as it is possible these hours may change. I’ll provide links to the Santa’s hours and info at each mall as they become available. You also may be interested in my humorous but informative post about How to get great photos with Santa: A humorous (but helpful) guide. 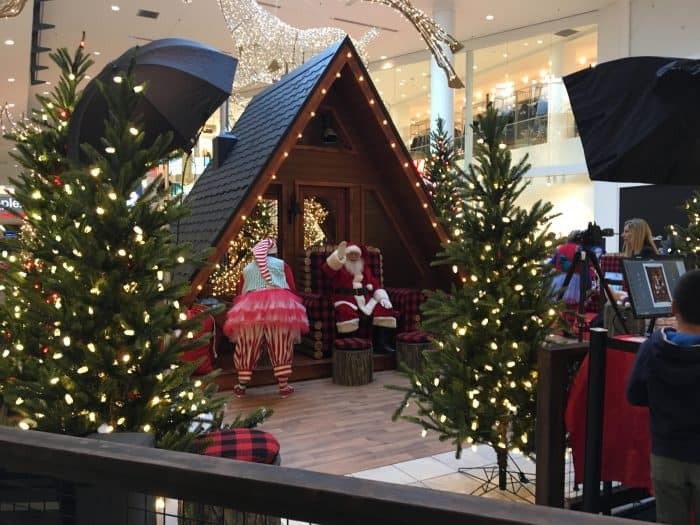 This year, Santa will arrive at Chinook Centre (in front of the Bay on the main floor) on Nov 17, 2018. The set up this year includes a small waiting area with activities for the kids. This is a very popular place to visit Santa and it can often be quite busy. Chinook will again this year be using a registration system – you can book ahead online. Walk ups will be accommodated as time allows – people have reported being able to easily get a visit during non-busy times. Expect bookings to fill up quickly. 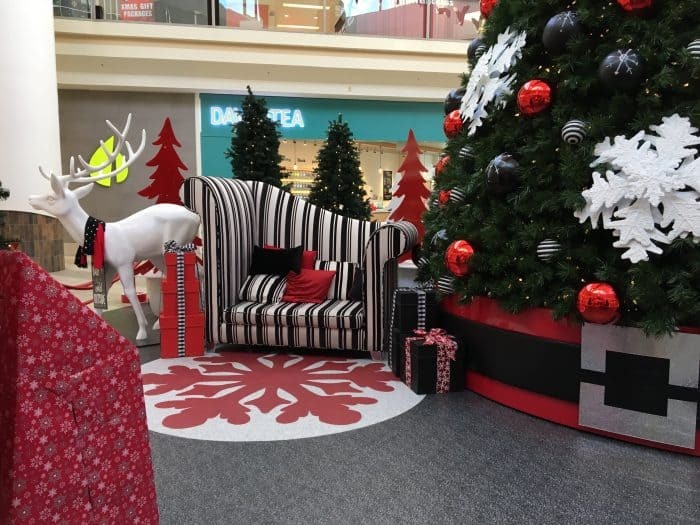 Santa arrives on level 2 of the Core Shopping Centre on a big red chair in a field of Christmas trees on November 22 , 2018 this year. You can receive a free print of your photo taken with your smart phone at the hashtag printer if you use the hashtag #FindChristmasDowntown. There is no professional photographer on site so you need to bring your own camera or phone to take your own photos. This is what the free photo you get looks like, the quality isn’t amazing, but better than it looks here. 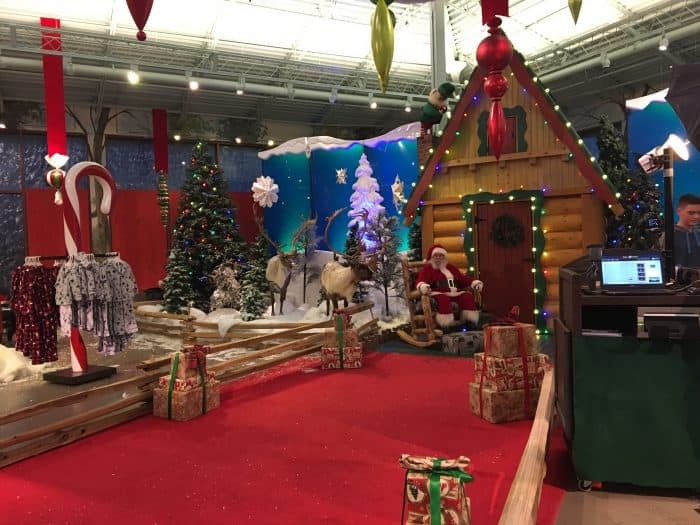 Santa’s Wonderland located inside at Bass Pro Shops opens Nov 17, 2018 and offers – a free 4×6 photo with Santa with the option of purchasing picture packages in store or when you get home, free crafts, games and activities. This year a Bass Pass is required for your Santa visit – you can come back at a specified time instead of waiting in line. Santa will be at Deerfoot City (Friday/Saturday/Sunday) beginning on November 16, 2018. 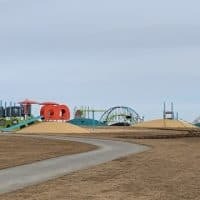 Santa will be located in the Food Lodge this year. The display features a backdrop of real trees. Photos are $20 per sheet (different photo size configurations available) and $5 for each additional sheet. Memory sticks will also be available for $45 which include a variety of poses. Cabela’s is also in the Deerfoot City complex (on the South West side near Canadian Tire). They have a traditional Santa this year with a set-up similar to Bass Pro in Cross Iron. You receive a free 4×6 photo with Santa and they have some kids crafts as well. 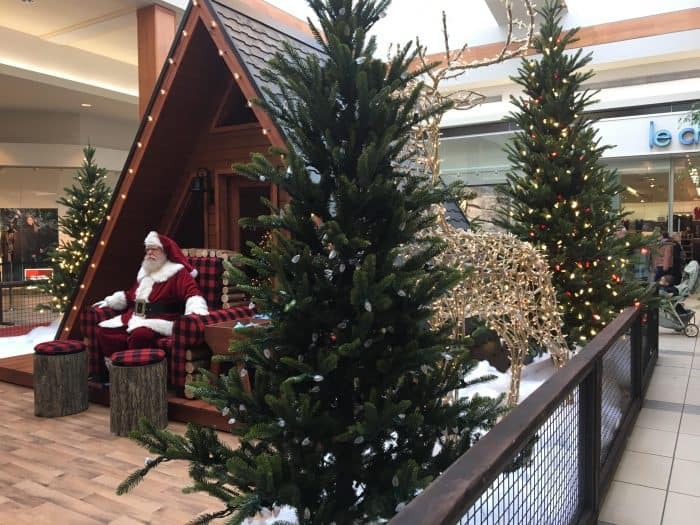 Santa arrives at his new cabin on November 17th this year at Market Mall. 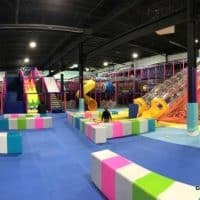 It looks much like the one at Chinook, however, there is no waiting area with activities for the kids. This is a very popular place to visit Santa and it can often be quite busy. Market Mall will again this year be using a registration system – they recommend that you book ahead online but walk ups will be accommodated as time allows – – people have reported being able to easily get a visit during non-busy times. Expect bookings to fill up quickly. Santa will be arriving at Marlborough Mall’s Family Park on weekends beginning Dec 1. Professional photos start at $20. Santa feeds the reindeer from 2-2pm. 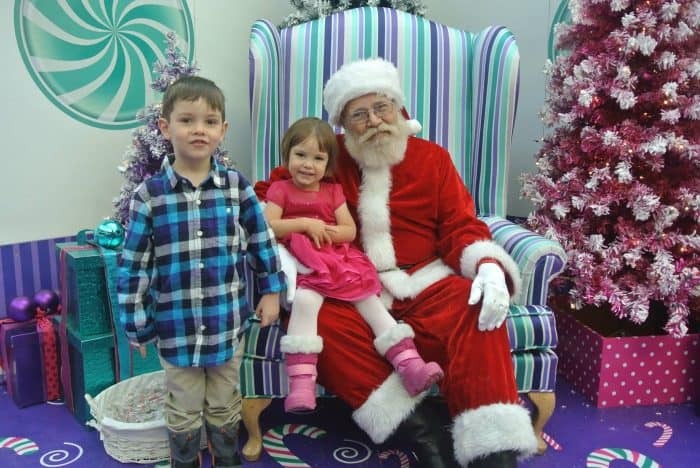 Santa arrives at Sugarplum lane at Northland Mall on Dec 1st this year. Like in previous years, children can visit with Santa, write a letter, do a craft and get a treat. This event is free but a $5 per child donation (goes to Habitat to Humanity) is suggested. There is no photographer on site – photos are free, but you need to take your own. 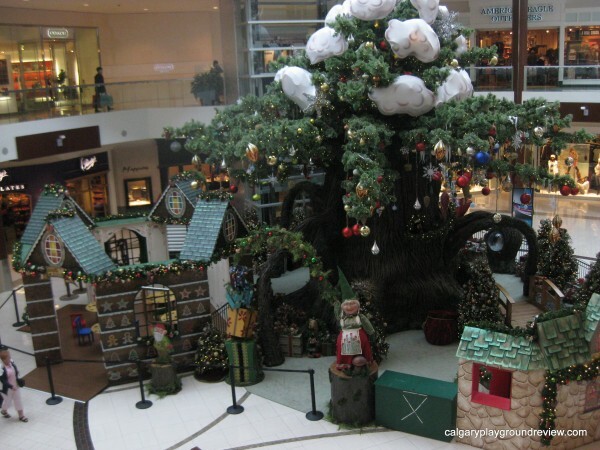 Santa arrives at Sunridge Mall on Dec 8th, this year. 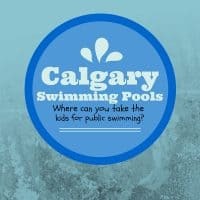 Photos are free – you are asked to make a donation to the Calgary food Bank. There is no photographer on site, but one of Santa’s elves can take a photo for you with your smartphone. 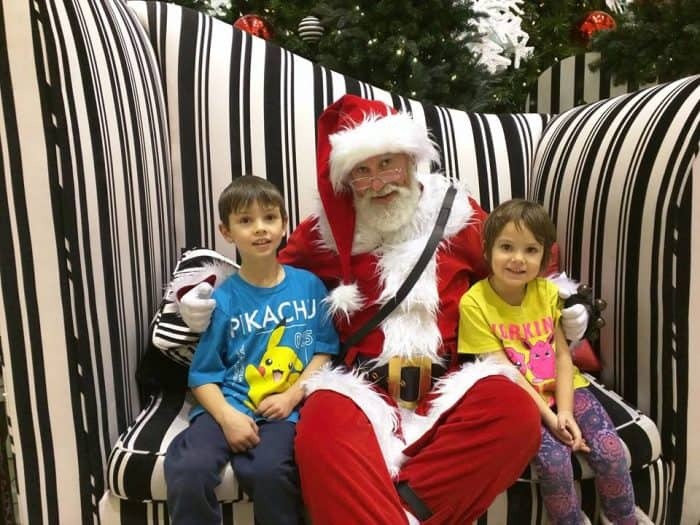 Santa arrives at Southcentre centre court on Nov 16th this year during all mall hours. He will be returning to the North pole on the 24th at 3pm. Children can also decorate a cookie at the cookie kitchen for a $1 donation to Calgary Meals on Wheels. Sammy the Snowman arrives on Nov 17th at 11am. He will be dancing through the Winter until Dec 31st. Santa will be arriving at Westbrook Mall’s centre court on weekends beginning Dec 1. Professional photos start at $20. 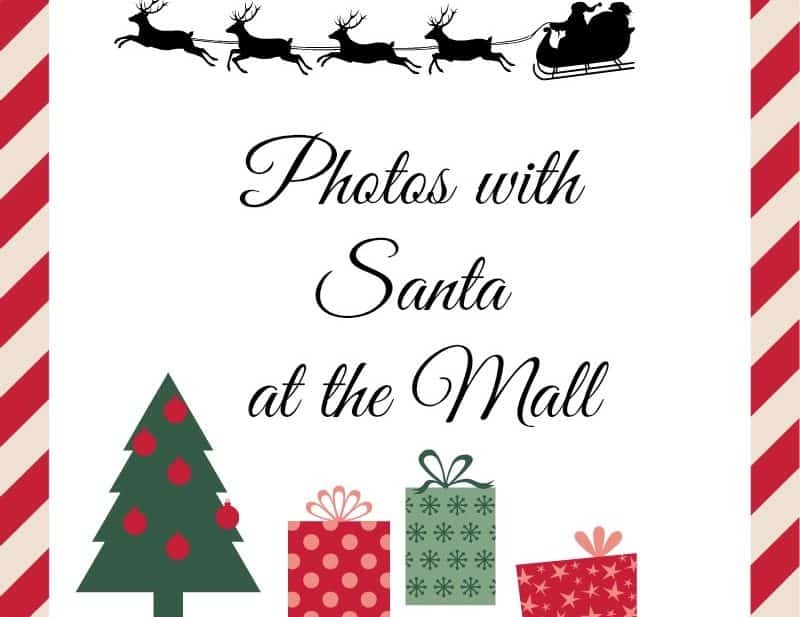 North Hill Centre will be hosting free photos with Santa or the Grinch on Saturday December 15th, 1pm-3pm. 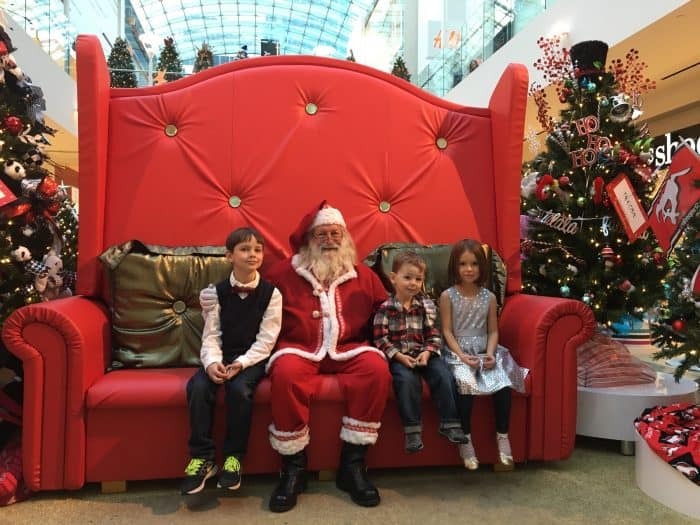 Where is your favourite place to take your kids for photos with Santa at the mall in Calgary ? Great list, I hadn’t thought of some of those spots. Loved the pictures. The malls look great at Christmas. Really enjoyed the link to the Santa photo tips. Heritage Park has an AWESOME Santa set up in Gasoline Alley. No rushed visits like in the shopping malls Great ideas for gifts all over the park. 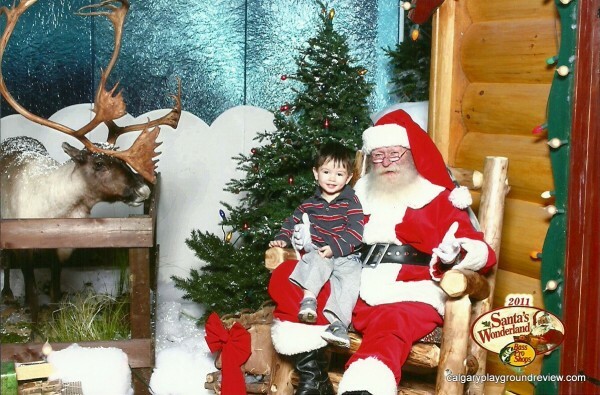 Way better than last year at the malls rushed vist and we had the option of professional or take your own pictures. Please add this option even though it’s only weekends it was an awesome family day and the Grandkids loved it…..almost as much as Grandpa. Is the Westbrook Santa Westbrook or Marlborough? 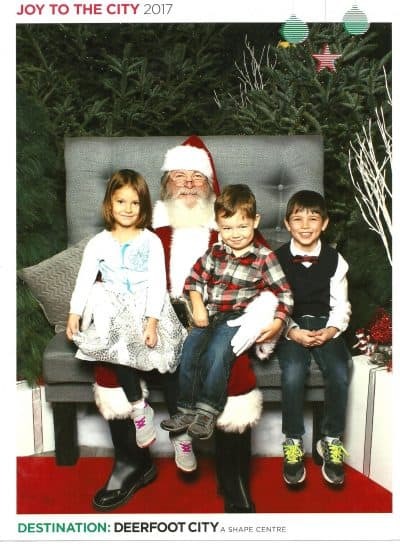 Just a heads up to everyone, we had a terrible experience at Southcentre Mall for our Santa photos. He was the worst. He barely said hi to our son, he was so distracted and not paying attention. There was a group of young boys trying to get his attention from the second floor balcony and he was completely focused on them for our whole session. i had walked up to him, sat down and they had taken a picture all with him still looking up and singing to these other kids. The girl taking the photo had to snap at him and tell him to pay attention so we could get a photo with him actually looking at the camera. and when my son got nervous and scared he just said ‘it’s not gonna work’ and turned to look for the next kid, completely dismissing us before we were even done. Very disappointed with the experience, as my son was so excited to meet him and he was totally ignored. Question…. For Bass Pro can you get a Bass Pass a few days in advance or does it have to be same day? 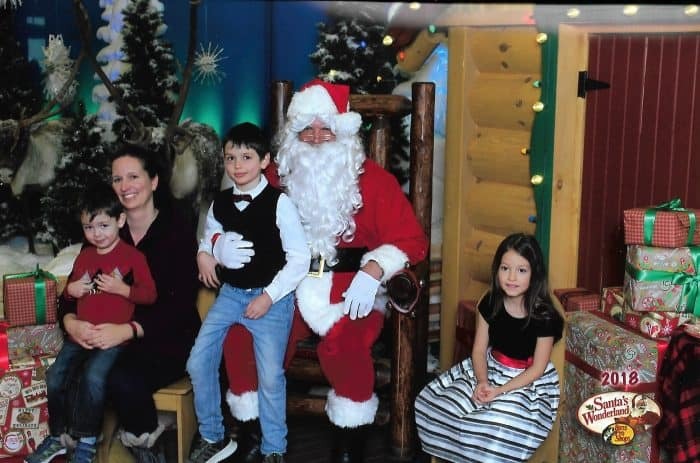 Went to Westbrook Mall this weekend and was ambushed only after we had placed our kids on and beside Santa that you had to buy their photos starting at $25. Is that not outrageous! Scenery was okay, but the Santa doesn’t smile. What are the prices for the pictures at south centre mall? That was incredibly helpful especially learning about online booking. Thank you for taking the time to do this.